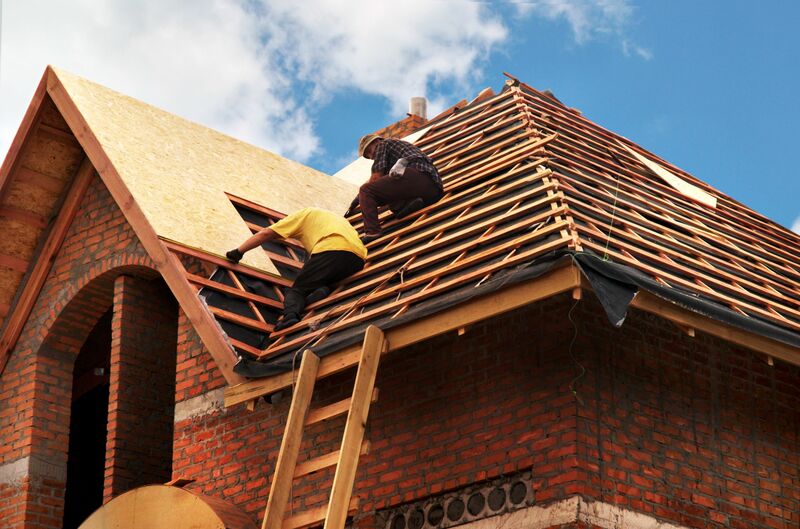 Some signs can help you know when to replace your flat roof and take the necessary action. The design of a flat roof makes it special and it may need extra care after it has served you for a long time. The flat roof is made in such a way that it cannot allow water to seep into the house. If the flat roof is in a poor state, it can let in water easily. However, you will like them for the elegance and sophistication they will provide to your house. One thing you should consider when you want to replace the flat roof is the number of years since the roof was installed. Normally, it is advisable to replace the flat roof after ten years. This is sufficient time to have it have normal tear and wear and to start letting in water. If this happens, you should take advantage of the warranty that you were issued with during the purchase. Deterioration of the flat roof could be slowed down by proper maintenance. A built-up membrane flat roof, on the other hand, can last up to 30 years. Even without regular maintenance due to the granules inherent in it that protect the roof from weathering. Most flat roofs are made of waterproof membranes that contain a vapor barrier between the membrane and the felt base. Sealing of the edges susceptible to leakages is done using metal flashing. To prevent water from collecting in a pool on the roof, your flat roof must have gutters to drain the water off the roof. You can know when to replace your flat roof if the water does not drain effectively, and the edges have lost the sealant. The roof develops holes and you experience leaks. You will notice discoloring of the ceiling when you look up inside the house. This discoloration is often due to the moisture that has penetrated and built up under the layers. You need to get your replacement equipment or call a contractor if you notice that the large roof panels are disintegrating. They will usually need a complete overhaul if you find it hard to put them back together. The vapor barrier should be extremely tight. If that is not the case, you may notice buildup of moisture under your roof. If you take time to investigate, you will most likely find that the vapor barrier is torn and is ineffective in preventing water from entering. You will also know when to replace your flat roof when you notice that the top coating of your roof is not able to resist strong winds. The winds could be causing the fluttering sound that could be produced during stormy or windy days. The fluttering could expose the inner layers of your roof. Such exposure is a sure sign that the roof has served its purpose and it is time for a new flat roof. When the time comes to do the actual replacement, this time you can reinforce the strength of your flat roof to avoid carrying out another replacement soon. The addition of a protective coat will give it the shield it requires against harsh weather. The drains should be in the best condition to avoid creating pools of water on your flat roof. Most flat roofs that are in good condition can withstand such pools of water for up to 3 days. Weak sections will then start to develop where the water has been.